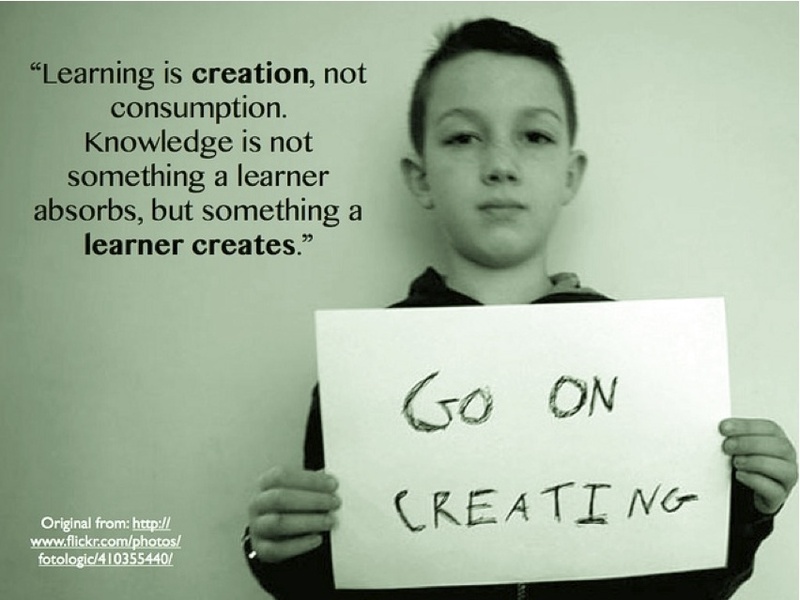 True learning is creative! … iPad, please! Under these four circumstances, you create truly life-long learners, who are intrinsically motivated by their own demands and ideas. Many teachers do not see creative process as part of their subject. The factory based education system used throughout the 20th century, isolated subjects as disconnected silos of information and creativity was removed from most of these study areas and confined specifically to the arts subjects only. This is not how the real world operates and creative thoughts and processes are demanded in most, if not all industries. All subject areas within schools (while those areas still exist), must harness both the students’ genuine will to create and the iPads power to enable this in so many forms and under so many circumstances. What exactly does grading do for a student? It gives them a record of how they compare with their classmates or even national year-group. What does this positioning mean? … nothing! The minute you leave school you will be working and competing with different groups of people of various ages and your grade comparison becomes meaningless immediately. Yes, you looked amazing in your school when up against your fellow students performing standardised tests, but now you’re suddenly struggling against people from different backgrounds and may even look quiet incompetent. Students also become distracted from their learning when focusing purely on their grade comparison with their friends. This removes any interest in learning for the sake of bettering oneself and even engagement with the objective of the tasks. Students take shortcuts and do anything that would increase the grade regardless of the impact it might have on truly understanding concepts or not. Students also find it very difficult, if they can do it at all, to articulate what an A or a B means. The grades themselves are arbitrary and mean nothing in terms of personal achievement and only make the lower grade achievers give up on learning anything. The iPad is both a personal creative device and a great tool for collaboration and documenting discussion. This is the basis on why and roughly how schools should push forward with 1-to-1 iPad integration. Next Where should School leaders stick their iPhones?